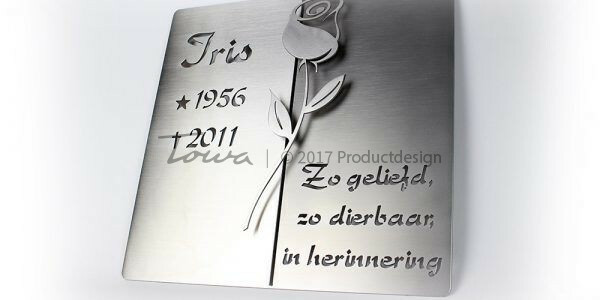 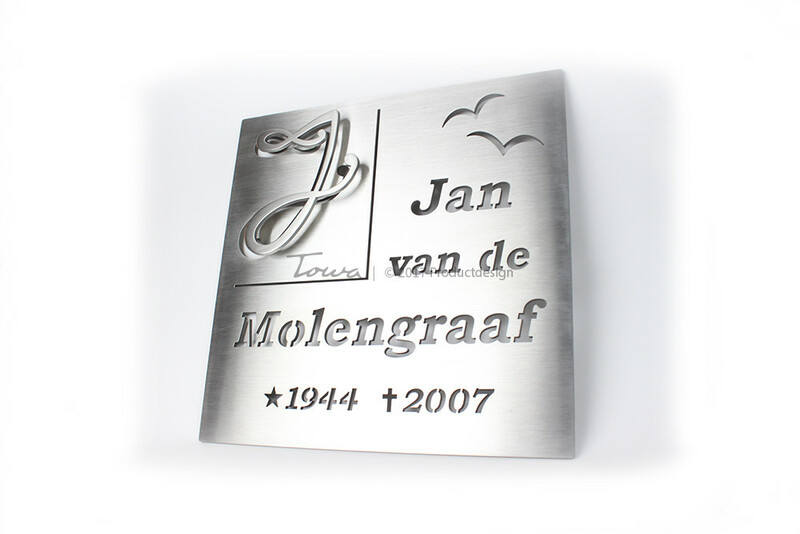 Stainless steel commemorative plaques can be produced in any shape and to any design you require. 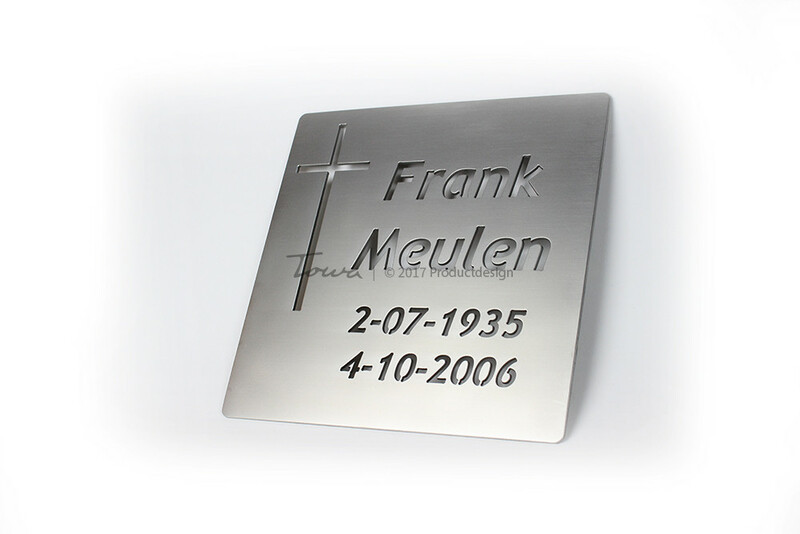 Ask your stonemason/funerary monument supplier for more information. 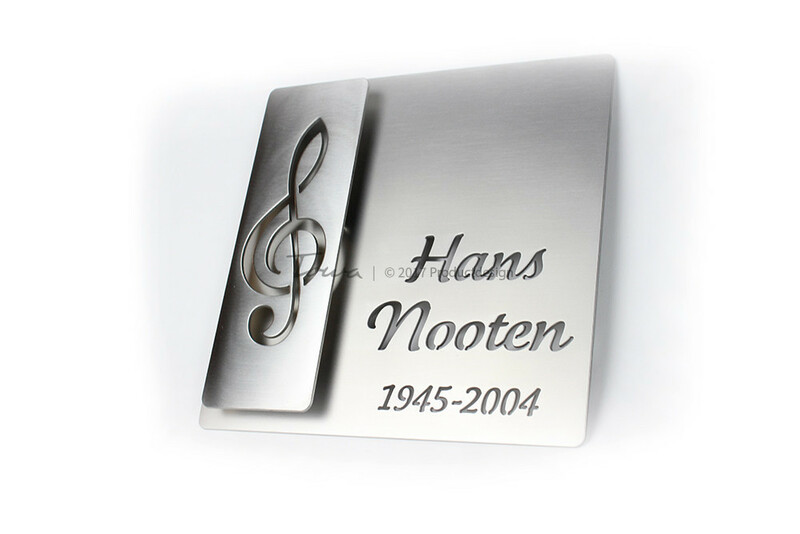 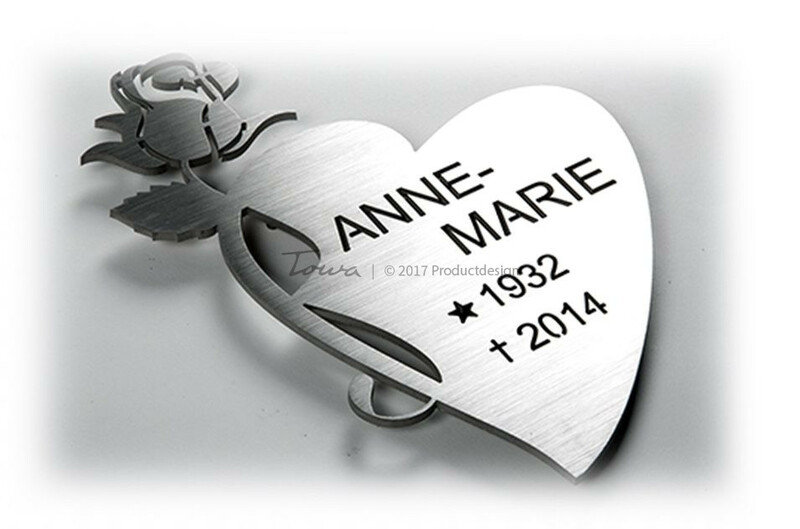 Stainless steel memorial plate with letters and music note cut out with a waterjet cutting machine. 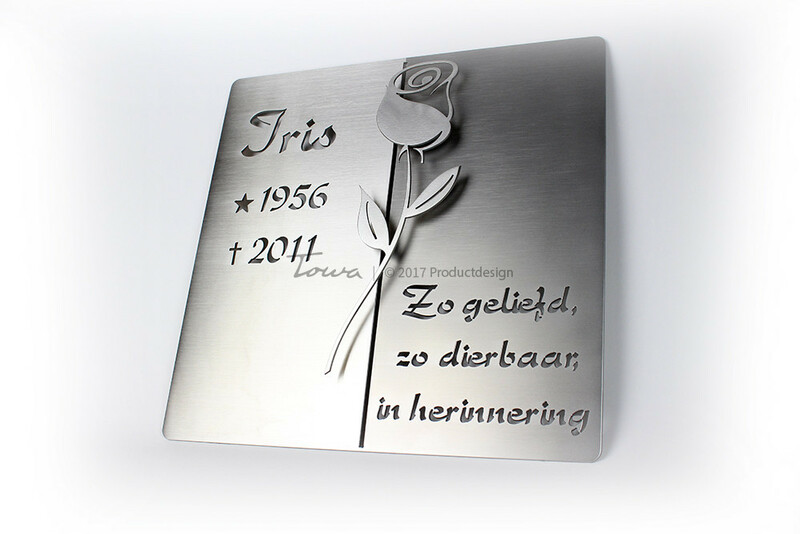 Plate designs available with any decoration and font from our assortment or personalised plates available on request. 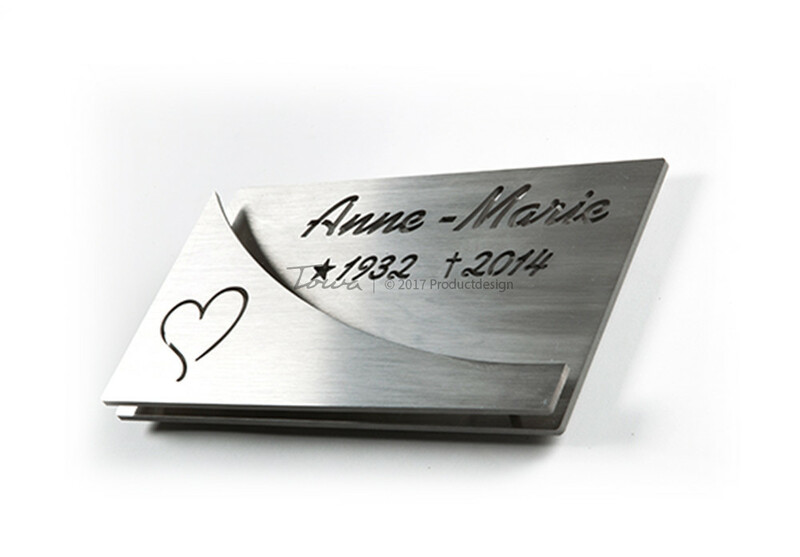 Available in all sizes on request with satine, brushed or polished finish. 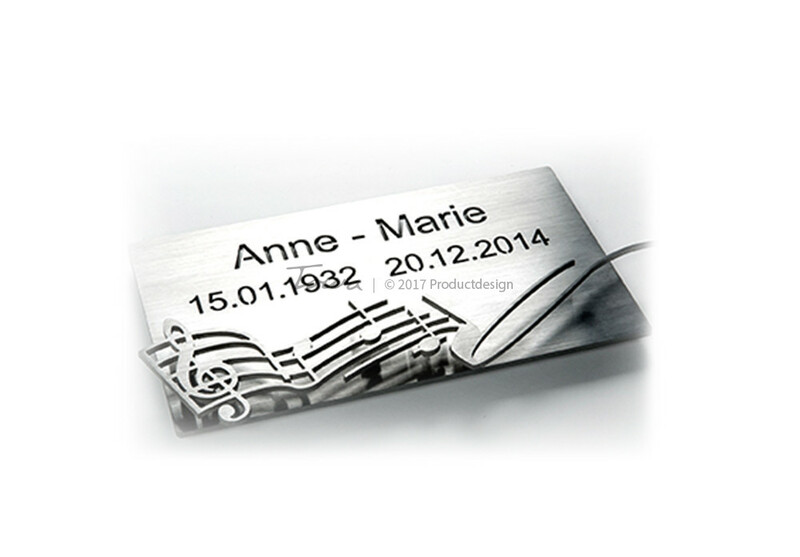 Plate designs available with any decoration and font from our assortment or personalised plates available on request. 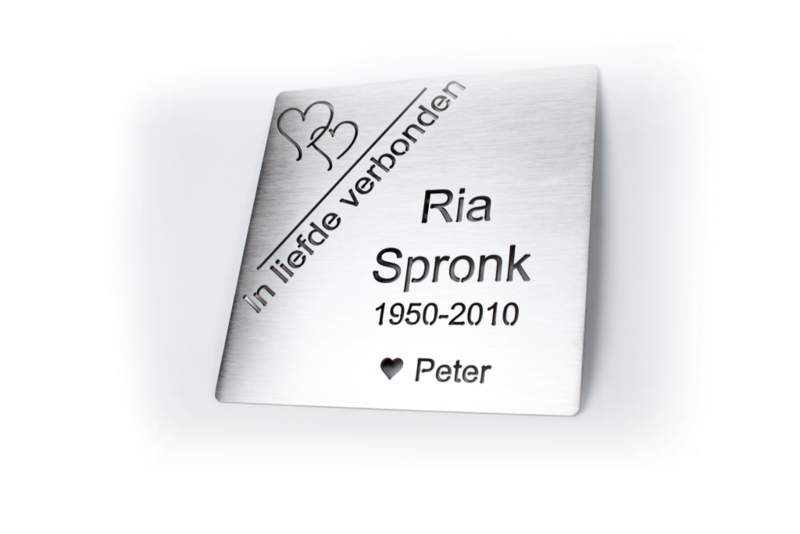 Available in all sizes on request with satine, brushed or polished finish.